Daughter of Charles Dickens, named after his friend Charles MacReady. As a child she was called "Lucifer Box" because of her temper. When Dickens divorced his wife she sided with her mother and she married the painter Charles Collins to be able to leave home. Dickens was aware of this and blamed himself for her marriage. Opinions differ on how much she may have loved Charles and it is possible that the marriage was never consummated. Charles health detoriated further and it was only in a late stage that he was diagnosed with the stomach cancer that had caused him pain for several years. 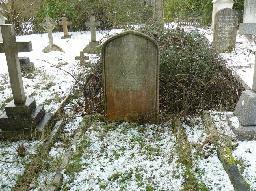 Kate nursed him until he died in 1873. She probably conducted an affair with the painter Val Prinsep during her marriage, but the year after Collins' death she married the painter Carlo Perugini. 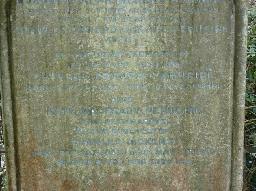 She secretly married him on 11 Sep 1873 but they didn't live together until they married officially on 4 Jun 1874. Perhaps she may have thought that she was pregnant in 1873. Kate and Carlo had only one child that died in infancy. From 1877 onwards she exhibited at the Royal Academy. Kate was the model for Millais' painting "The Black Brunswicker" and Millais painted her portrait in 1880. She was also the person who revealed Dickens' secret relationship with the actress Ellen Ternan in "Dickens and Daughter", a book by Gladys Storey. 'Kate Perugini' by John Everett Millais. 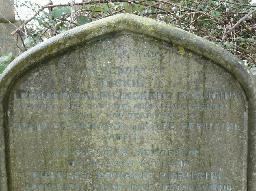 The grave of Kate Dickens and Charles Perugini at St. Nicholas churchyard, Sevenoaks, Kent. 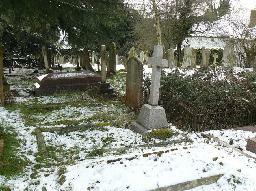 The grave of Kate Dickens and Charles Perugini (left) and the grave of Mary Dickens (right) at St. Nicholas churchyard, Sevenoaks, Kent.